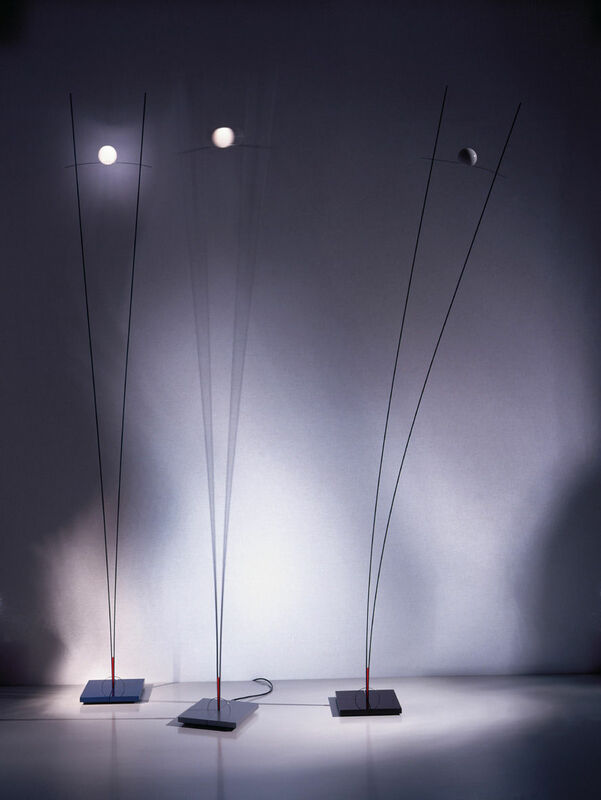 The Ilios floor lamp was designed by Ingo Maurer and Franz Ringelhan in 1983. With a tall, reed-like appearance, the Ilios has a very modern and timeless look. The halogen light source looks like it is floating in the air. This floor lamp will fit any place in the house. It is equipped with a touchtronic transformer. Available either in black or silver.